This training is not being offered at this time. This page will be updated when the training is once again being offered.  The Campus Controller's Office offers a series of financial management workshops covering topics like business risk management, ethics, accounting at the University of California, and campus business processes. Enroll online at least five business days before the workshop start date to attend a class. Please use the 'Workshop Enrollment Form' link under the Online Forms heading to the right to enroll. Your CruzID Gold login is required to access the form. If you need more assistance with CruzID Gold, please use the links under the Online Forms section to the right. A confirmation email will be automatically sent within two days from our system email address SPAdmins@ucsc.edu. Please email controller@ucsc.edu if confirmation has not been received and the message wasn't redirected into your junk or spam e-mail folder. If you are unable to attend a class, please email to cancel your enrollment at least five business days before the workshop start date. Space is limited in the workshops, the Campus Controller's Office appreciates cancellation notice.